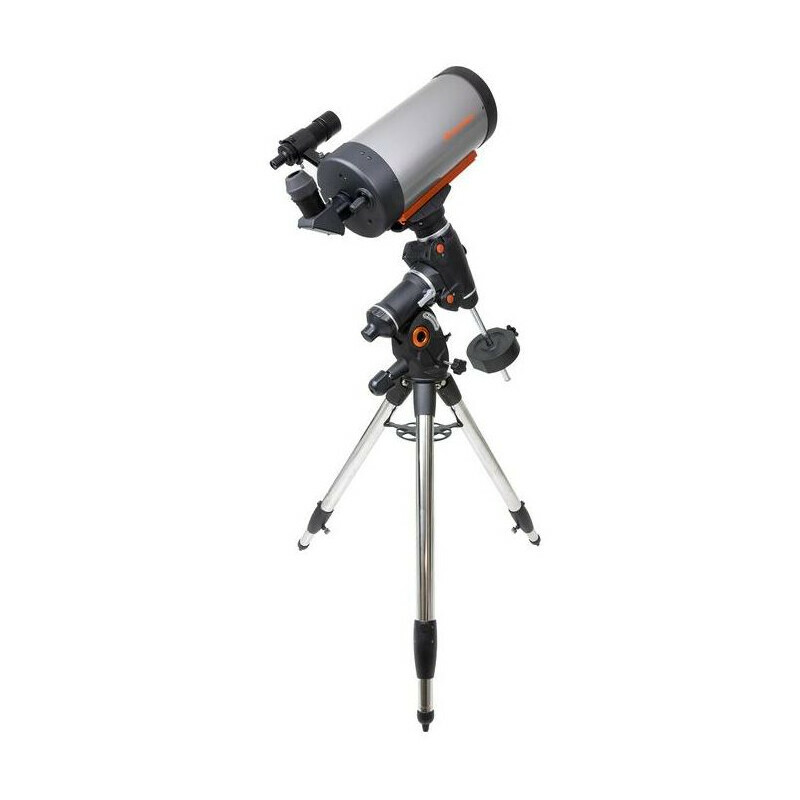 Maksutov telescopes are very compact and therefore ideally suited for portable use or for when travelling. The enclosed optics and collimation stability with Maksutovs ensure their robustness. 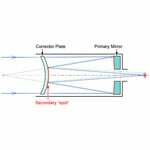 Maksutov telescopes have a very long focal length despite their compact design. 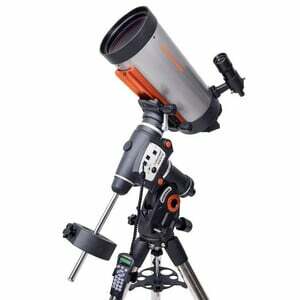 But the field of view is rather narrow when compared to achromatic refractor telescopes. 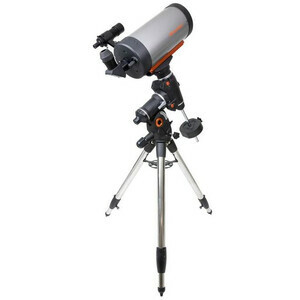 However, this combination makes Maksutov telescopes ideal instruments for observing the Moon and planets. And when equipped with an Amici prism, they are also very well suited to nature-watching and nature photography. Maksutov-Cassegrain vs. Schmidt-Cassegrain: The Mak is a catadioptric telescope, which means the optical design includes both a lens and a mirror. The light coming through a Mak passes through the corrector lens to the primary mirror and back to a spherical secondary mirror before it hits your eyepiece. Images are bright, sharp, and virtually free of chromatic aberration. 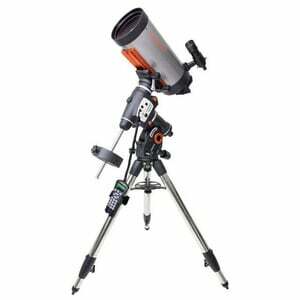 With the Celestron SC optics, the secondary mirror can be removed and replaced with a so-called Hyperstar optic. This creates a kind of Schmidt camera with a very fast aperture ratio. 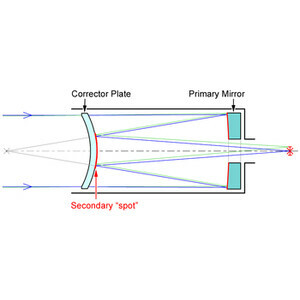 Since the secondary mirror in the case of MC optics is not a component independent of the correction plate, this modification is not possible with the MC. Celestron has updated its popular CGEM mount. Version 2 features a sturdier tripod, USB port, dual dovetail clamp for Losmandy and Vixen standards, improved ergonomics and firmware! 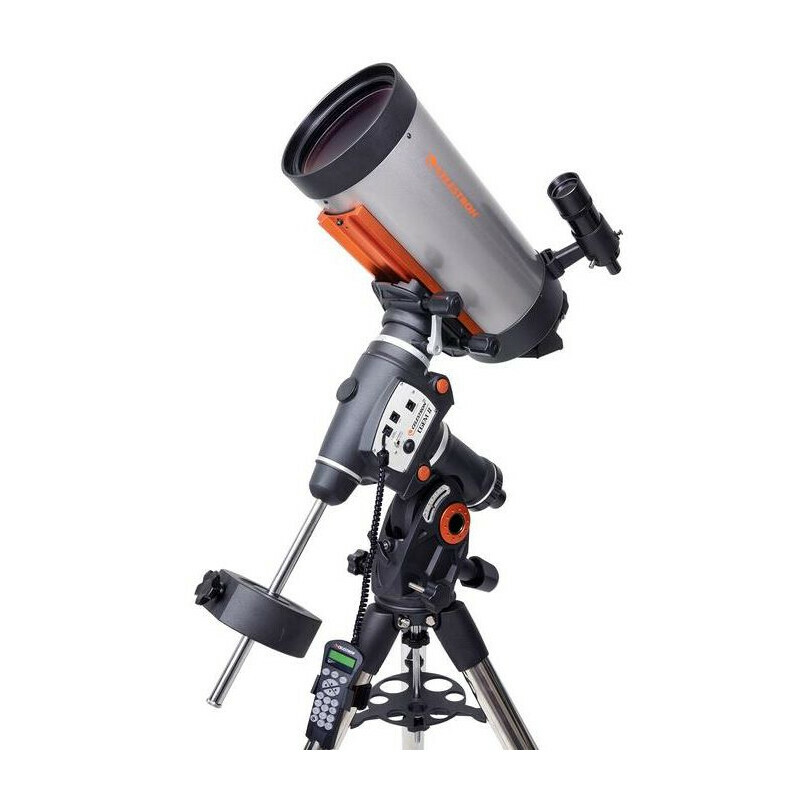 But it has not changed the tried and tested features of the CGEM, which continues to be a highly reputable mount for astrophotography - safely carrying Celestron SC OTAs of up to 11-inch (279mm) aperture for astrophotography purposes. 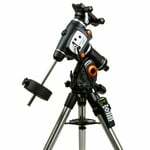 Of course, you can also use the CGEM with telescopes from other brands, whether refractors or medium-sized Newtonian telescopes. The dual saddle clamp is suitable for the two common prism rail formats (also known as dovetail rails). The saddle clamp has two large, handy screws that can even be easily operated when wearing gloves. Since the clamp engages over its entire width with the prism rail and not just the screws themselves, no damage to the rail can occur during setting up. the tripod legs are marked, allowing you to extend the legs to a consistent length and easily remember your preferred length. built-in All-Star Polar Alignment by Celestron to align the mount using any star. So you do not need a polar finder and do not have to separately north align. You do not even need a clear view of the Pole Star! The screw for adjusting the polar height is large and convenient. This is an important advantage, as the polar height adjustment must be done with the weight of the OTA present. large database of all popular deep sky objects, catalogued by name and catalogue number; the most famous double, triple and quadruple stars as well as variable stars and objects within the solar system. double-line, 16-character LCD hand control with backlit buttons. The hand controller has a USB port for easy connection to the PC for firmware updates of the mount and hand controller. tracking beyond the meridian by up to 30° - so that long-term exposure astrophotography does not have to be suddenly interrupted. 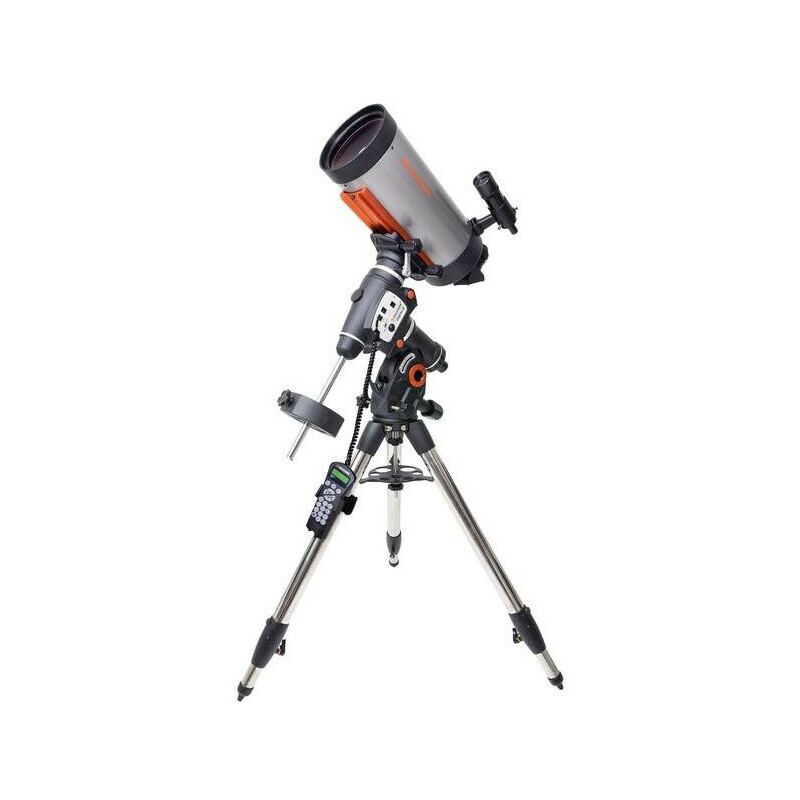 The CGEM II is between the AVX and CGX mounts in Celestron's range of modern equatorial GoTo mounts. For beginners, we recommend the low-priced AVX - which has all the advantages of NexStar + electronics, but is not mechanically designed to carry large OTAs. The CGX mount meets the highest demands of astrophotographers, even when carrying heavy equipment. Finally, the CGEM II is an excellent compromise between carrying capacity, performance and price. It is the workhorse of sophisticated astrophotographers.